The Charming Academy Series is written by Jessica L. Elliott, and consists of six books, including Charming Academy, Finding Prince Charming, Prince Charming’s Search, Becoming Prince Charming, The Ultimate Prince Charming, and Prince Charming’s Quest. Yes, that is a lot of Prince Charmings. I know. The first book, Charming Academy, is the beginning. As the title suggests, this is at an academy for young princes who are on their path to become a Prince Charming. 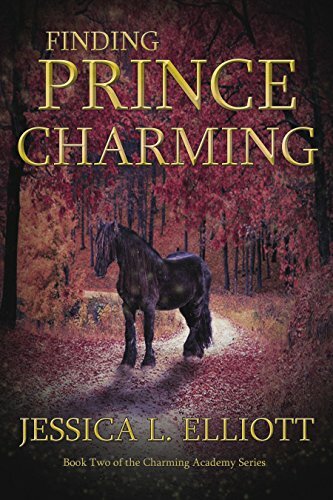 In this fairy tale reproduction, the name “Prince Charming” is more than a name, it is an honorary title that the young men receive after completing their quest. Yes, that is not very detailed, but you can’t expect me to give everything away right now, can you? Our main character is a young prince named Lucian. He is mainly the character followed throughout the first book, and the following books are centered around each other main character’s quest after schooling. Now to the actual book. A little organizational information that you will learn in the book, but I can’t very well explain without describing a little (Don’t worry, I won’t give away anything super important): Prince Charming Academy for Boys is a school that works in association with Fair Damsels Academy for Young Ladies. Lucian is enrolled at the boys’ school to begin his schooling and preparation for his quest which will take place at the end of his sixth year. Within his education, he learns about all the things a prince must do on a typical quest. He learns to fight dragons and about spell breaking, the ins and outs of hunting and survival, languages of dragons and mermaids along with his normal math, science, and language arts classes. He and his friends must overcome the challenges of being teenage boys, learning to get along with their princesses, schoolwork, and staying on the right side of the witches in charge of punishment at the school. With magic surrounding them, they must prepare as best they can to make a wonderful fairy tale out of their quest. The Charming Academy Series is a retelling of some of our most well-known and loved fairy tales, including Cinderella, Beauty and the Beast, Sleeping Beauty, the Princess and the Frog, and many others. I greatly enjoyed the series, as I love fantasy. 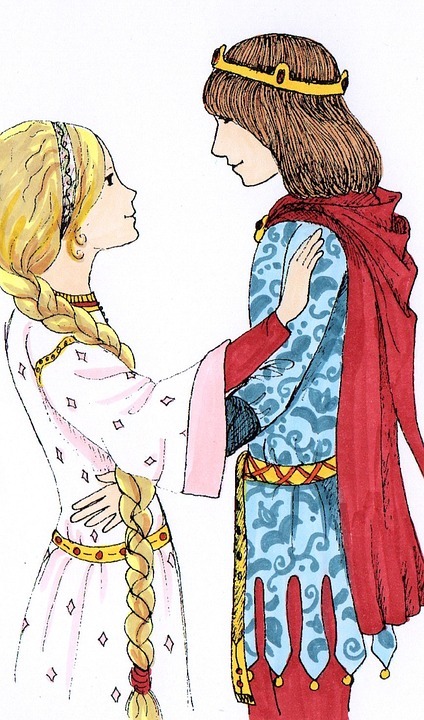 The books show both the prince and princess’ views of a fairytale, with plenty of humor, challenges, and romance to keep the story rolling. I think it is a very good series for middle school kids, because of the interesting tale, the age of the characters, and length. The series shows all of the adventure that is sometimes skipped in retelling. This is so much more than the common “a beautiful princess was locked in a tower and waited and waited for a long time till her Prince Charming rode in on a majestic horse and saved her with true love’s kiss the end.” It includes everything needed to be sweet and adventurous at the same time, with lots of entertainment as the characters and their growth as individuals as well. I do have to admit that while this series is one of my favorite reading pastime series, it does get a little boring sometimes. The plot will drag or get repetitive sometimes, which is understandable, and I also think that the copies I have at least are her rougher versions. I don’t know if the author has had more edits and publication recently, but my copies of the series do have some grammatical and spelling errors, and the detail is sometimes far too much or little given in some sections, in my opinion of course. As frustrated as I get by these errors sometimes, I also appreciate them greatly, because I think it shows that the author did not necessarily write the series to be pretty and perfect and sell for lots all over the world, but really so that she could share the basics of the fairy tales she so loved as a child that she worked to make “cool enough” for her brother (this is how the series was first created, her brother told her that fairy tales were for girls and she set out to change that). It shows that she really just wanted to share her stories. To be completely honest, the books are rather unpolished. But they are lots of fun to read as the normal fairy tales we all know take a new perspective. 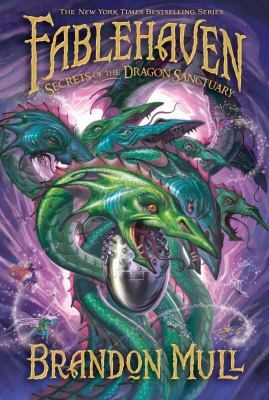 This is it, folks, the last book in the Fablehaven series, tied for first on my favorites in the series. I’ll be honest, this and the third are my first place winners, then the fourth is my second favorite, and the first and second are my third, but not necessarily my least favorites. Even though that is technically what the not top favorites means. Oh well. You all know what I mean. Hopefully. Alright, the end is coming. As Kendra and Seth prepare for what they hope will not mean the end of the world, they realize that they really are among the only ones who can save this. After facing heartbreaking betrayals and emotional trauma, and time after time again escaped certain death, these two incredible kids are up against what they hoped they wouldn’t have to face. But the Sphinx has the artifacts, the power, the minions, and, as if that wasn’t enough, their parents. The Zzyzx’s opening seems eminent and the only way that they can seem to save the world now is to prepare to keep the demons in, even if it means war. Racing around the world, Kendra and Seth try to intercept the artifacts and gather allies, bargaining for knowledge and searching for weapons. They have their fairykind and shadowcharmer abilities, but fighting the Sphinx never has been and never will be easy, so all they can do is prepare as well they can and hope that all will end well. 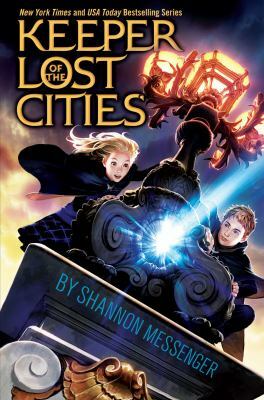 This was the last book in the Fablehaven series and I was pretty sad, wanting to know more and have more adventures with Kendra and Seth, though I knew they deserved a break from the constant near death experiences. But, I am so happy, because Brandon Mull has started a second series about them, its called Dragonwatch and I will write reviews on those books too. I recommend both of these series all the way, for fantasy lovers who love action and build up and magical creatures. I would give this book a 4.9 / 5, I love it, it is a great end to the series while still allowing Mull a way to add to it indirectly, and is a very good blend of action and sentiment and humor and romance and teasing all the way through. 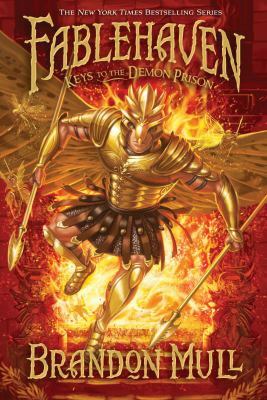 This is the fourth book in the Fablehaven series, and probably my second favorite. There is lots of dramatic action and danger, all happening to require Seth and Kendra’s help (wink). Seth and Kendra have been through a lot, and then what happens in this book shows just how unfair life can be, and how awful fighting can mess up people’s lives. The emotional trauma that these two have gone through and continue to face is just incredible when you think about it, and that made me wary to keep reading each book before I started each one, because, yes, it’s really cool and all the adventures and friendships and all the incredible things they get to do, but all the awful things that these two have faced is really traumatizing when you stop to think about it. It’s amazing that they keep going. So there’s a slight foreboding hint for you. So this book has them after another hidden artifact to get before the Society of the Evening Star does, to try and stop further mass destruction by the Society, as per usual. This time they are off to another preserve, but this is one of the seven dragon sanctuaries, Wyrmroost. Facing danger at every turn, and constantly being painfully aware that they are just kids in a big world, Kendra and Seth set out to prove that they can handle saving the world, as daunting as the task may be. I really enjoyed this book. It is definitely right up there in my favorite re-reads of this series, which I realize I’ve probably told you lots of times. Hey, I’m just trying to get my point across. I would probably give this a 4.7 / 5, I love the plot and adventures. I just have favorites, so I am a little biased. Oh well, I hope you are enjoying the series too if you’re reading it and/or already have.